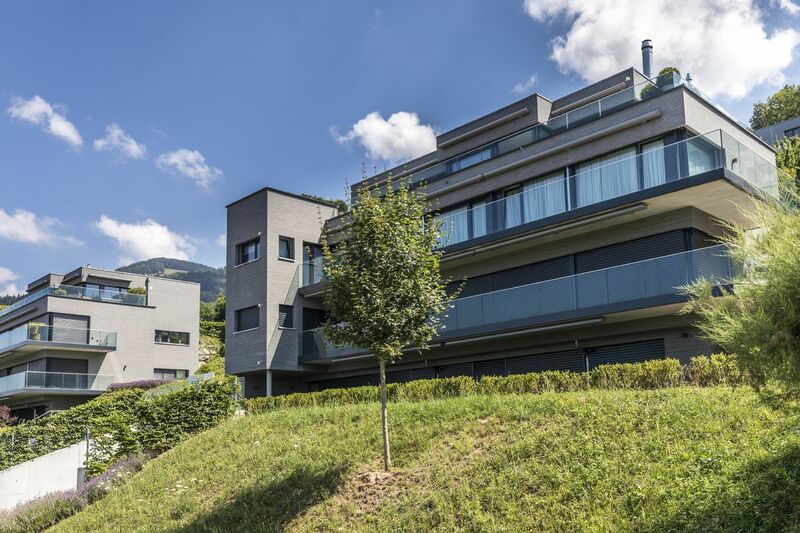 This elegant and luxurious duplex penthouse, enjoys a commanding position on the leafy slopes above Montreux - a peaceful setting, near the charming medieval village of Brent. 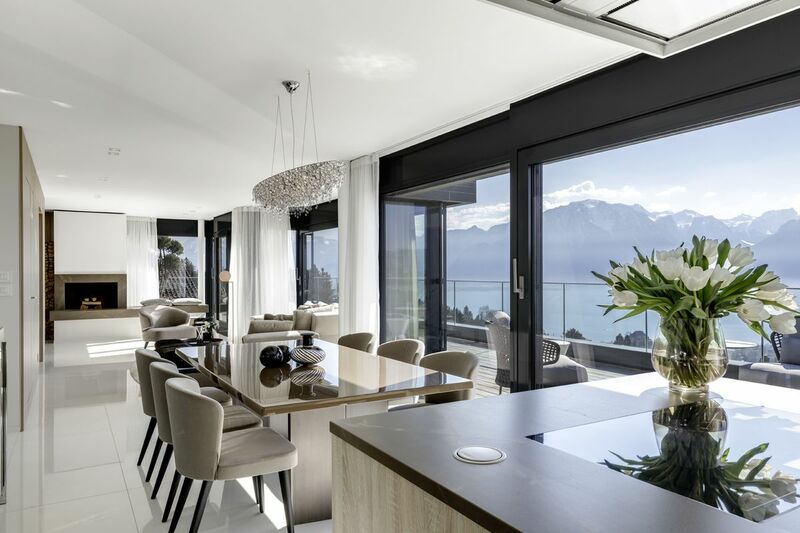 The 5.5 room property offers a flowing contemporary lifestyle and the privilege of occupying the top two floors of a four apartment residence, with breathtaking views over Lake Geneva from every room. 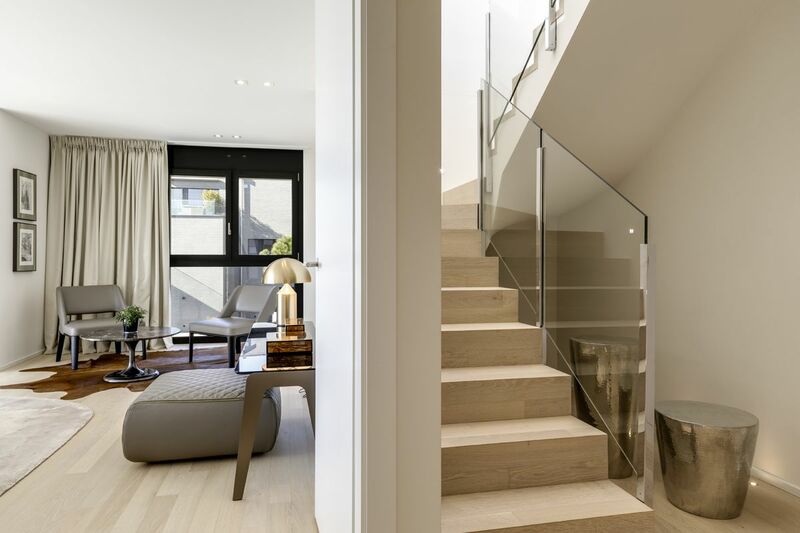 The duplex can be accessed on both levels via the private lift and is also connected interiorly, by a glass and chrome railed stairway. 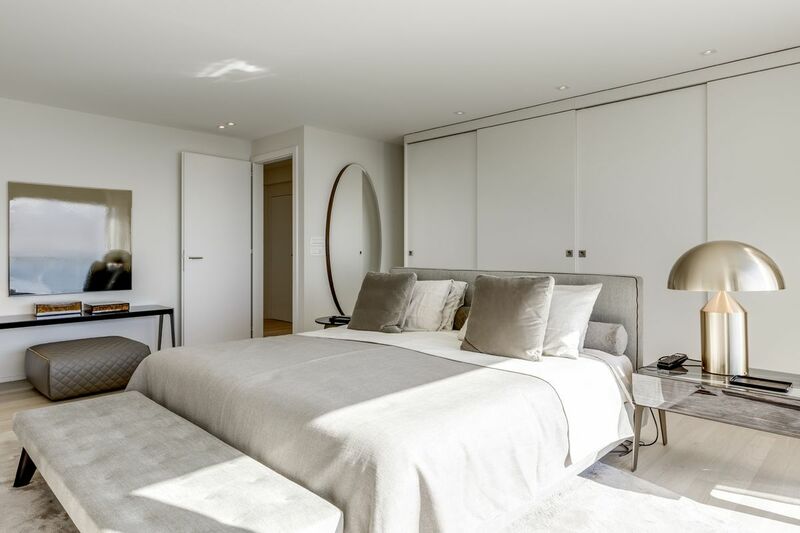 Fully furnished, this 244 sqm property, features premium materials and finishes. 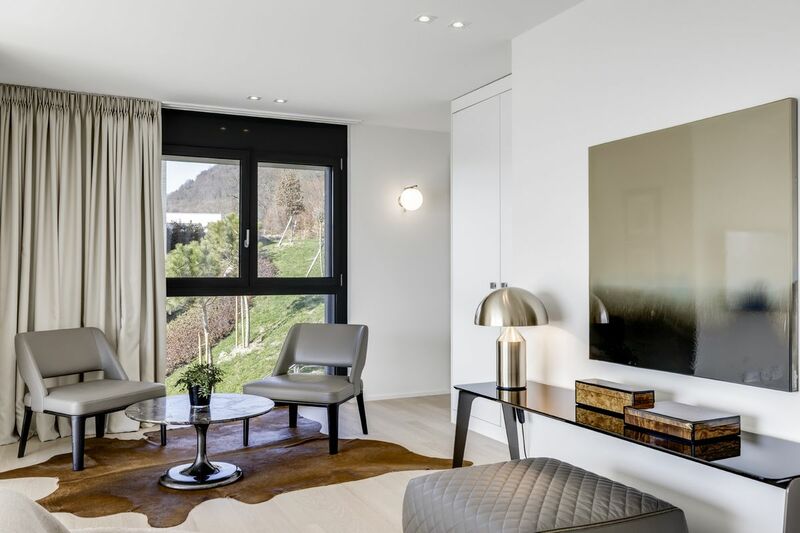 Created and decorated by a world renowned Milano design company, the penthouse reflects a refined and sophisticated approach, with many iconic pieces of furniture and fittings. 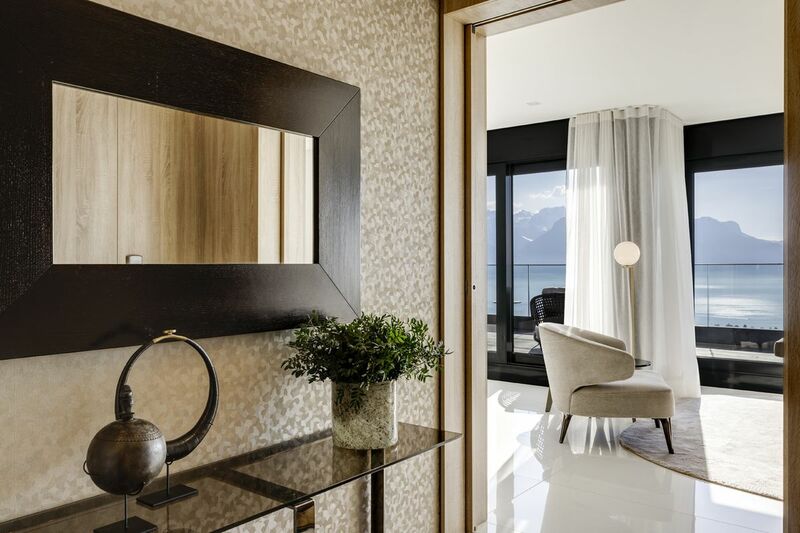 The surrounding grounds, comprising large terraces and a private garden of 223 sqm, are the perfect place to relax and unwind. 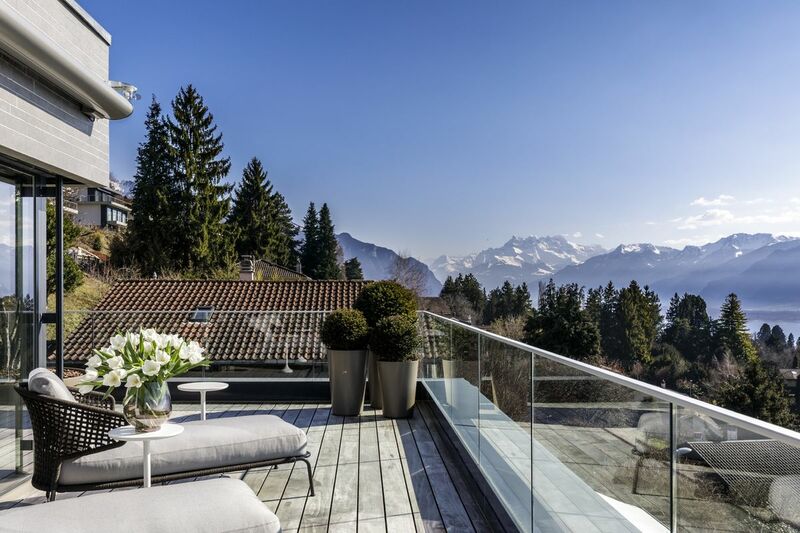 Only a few minutes from the heart of Montreux, Vevey and the prestigious international St Georges School, the popular ski resort of Gstaad is 40 minutes away thanks to the MOB( Montreux-Oberland-Bernois) railway line. 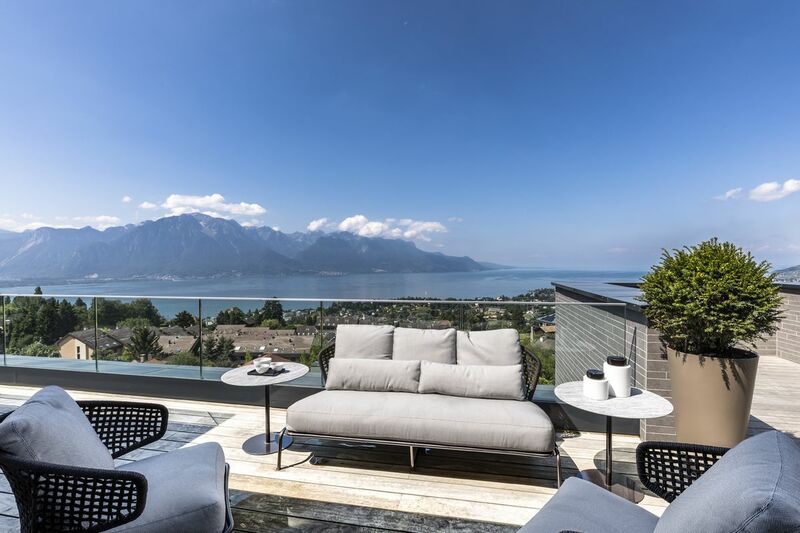 A remote- controlled double garage and large cellar complete this exceptional property. 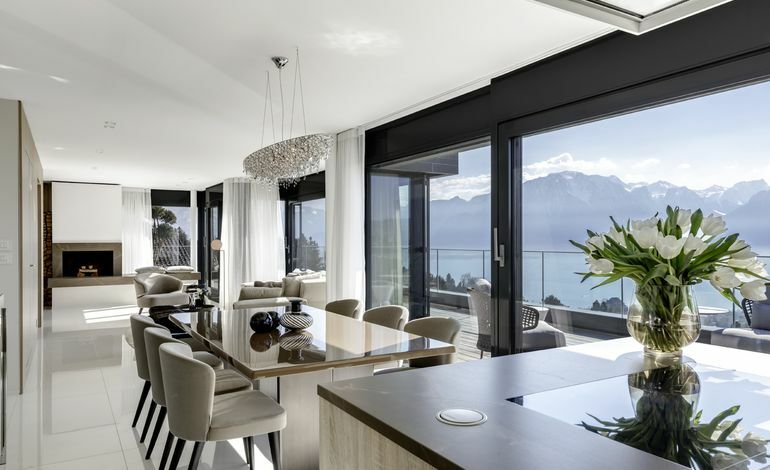 In addition, it is noted that the amount of furniture amounts to CHF 250'000.-. 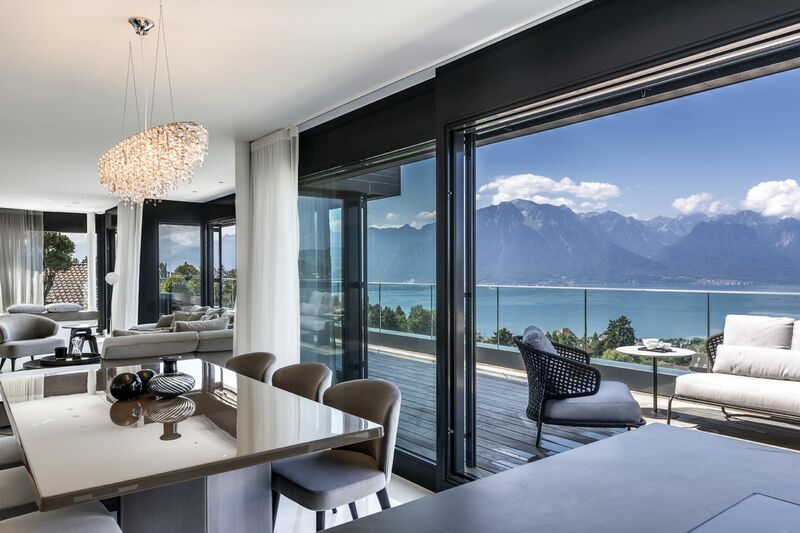 Pour les visites, merci de contacter notre agence Cardis SA à Montreux au noo +41 21 962 86 62.